In Sweden we celebrate Christmas on the 24th of December. So I want to take this time to wish you a Merry Christmas and a Happy New Year. 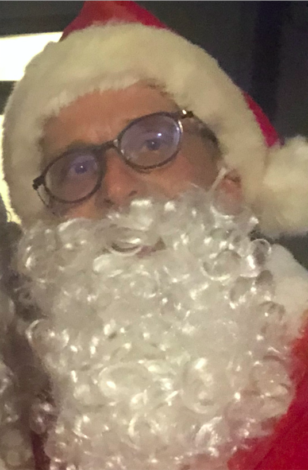 If there where something like a “Speakers Santa” who could fulfil your speaker wishes, what would you put on top of that “speaker’s wish-list”? Email me at Fredrik@FredrikHaren.com. Then make your own list of what you need to do to make that wish come true. ps. If there was one thing you wish I would write about on this blog because you really want to learn more about it, what would it be? Let me know and I might just grant your wishes and write about it. 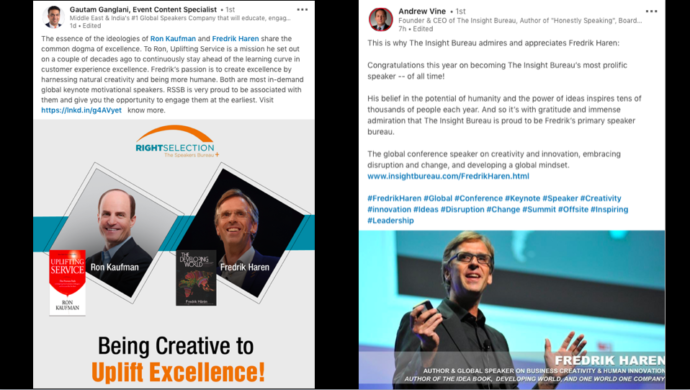 In the last few days I have been featured on Linkedin by two speaker bureaus that I have the pleasure to be represented by, so that triggered me to write this post to help other speakers get more work with bureaus too. Many fellow professional speakers ask me how to work with bureaus, and if you have read this blog over the years you have seen me give advise on different ways to work with bureaus. Today I want to talk about how to handle leads in connection to bureaus. 1) If you get a booking through a bureau and a person comes up to you after your speech and says “That was a great speech, I would like to book you for our upcoming convention” what do you do? Right answer: Take the persons business card and follow up with the client and CC the bureau that got you that gig. 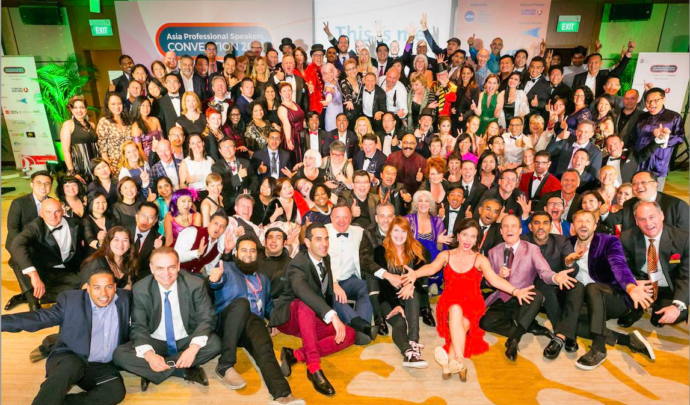 2) A person emails you 6 months after you did the speech and says: ““That was a great speech, I would like to book you for our upcoming convention” what do you do? Right answer: Reply to the potential client and CC the bureau that got you that gig. 3) You have just done a public speech in a country where you have not spoken for a long time (or never) and you get an email inviting to back to the same country from another organisers. What do you do? 4) A person contacts you about a speech (say in Sri Lanka) and then a few days later you get a request from a speaker bureau for the same speech, what do you do? Right answer: Offer the bureau to take over the discussion with the client even if the client first went to you. Speaker bureaus exist to help their clients find the right speakers. They do not exist to help the speakers find more work. That means speakers need to be VERY thankful for all the work they get from the bureaus, and it also means that the speakers should be very generous with giving leads to the bureaus they work with. This might sound obvious, but I hear so many bureaus complain about how common it is for speakers to take leads that they got from work that was given to them from a bureau and try to get follow up work by bypassing the bureau. So tag all your leads in your CRM system as “Bureau Clients/Bureau Lead” so that you KNOW if that lead came from a bureau gig even if that person emails you years later.